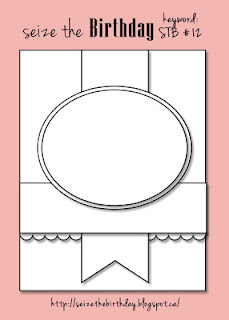 A friend of mine needed a birthday card for her daughter so what better reason to play along with this weeks sketch over at Seize the Birthday, since is a feminine card this week! I used one of my favorite sets, Apothecary Arts. These images are so pretty and great for feminine cards. I took my colors, Island Indigo and So Saffron, straight from the DSP I used( Tea For Two DSP from the spring mini). The main image panel is popped up with dimensionals as is the sentiment going across the panel. 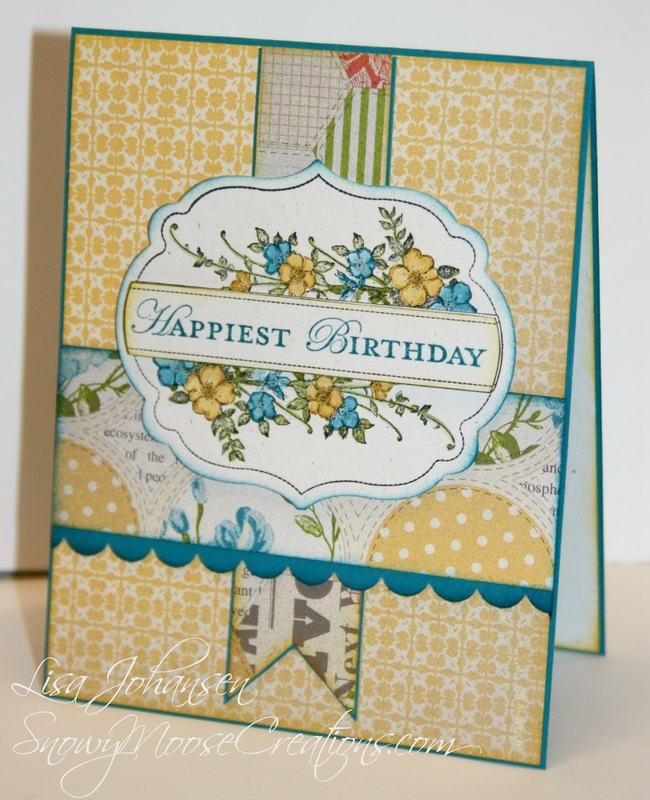 Soft sponging on all the layers gives the card a little more depth. How lovely! This is such a pretty take on the sketch Lisa, love the colours and that paper! Very pretty. Love the papers and your coloring of the image. 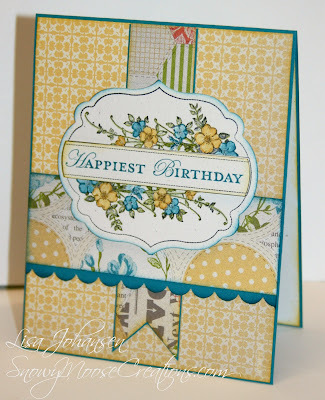 this is so pretty and i love the colors :) So glad you joined us on Seize the Birthday.